A fresh approach to upcyling for adults and children. 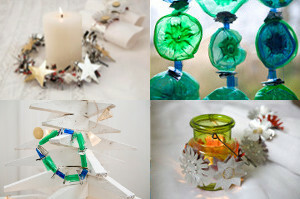 Rubbish Christmas is easy, creative and inspirational. With a little imagination and some basic skills, valuable material we often throw away can be turned into great decorations.